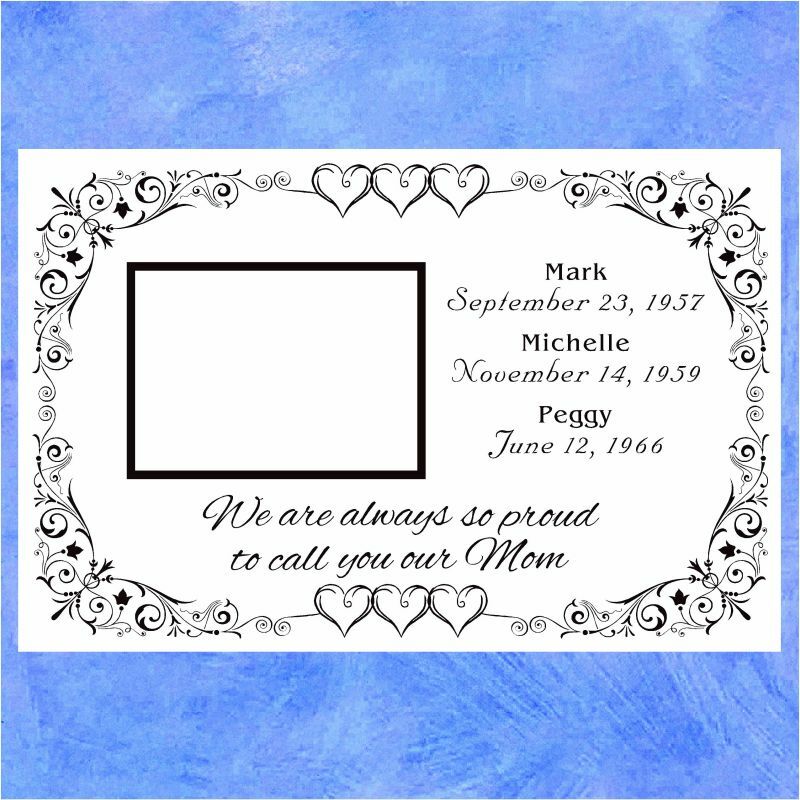 An elegant border design surrounds a cherished family photo, beautiful message to your Mum & her children’s names and birthdays. Size: 20″x14″. 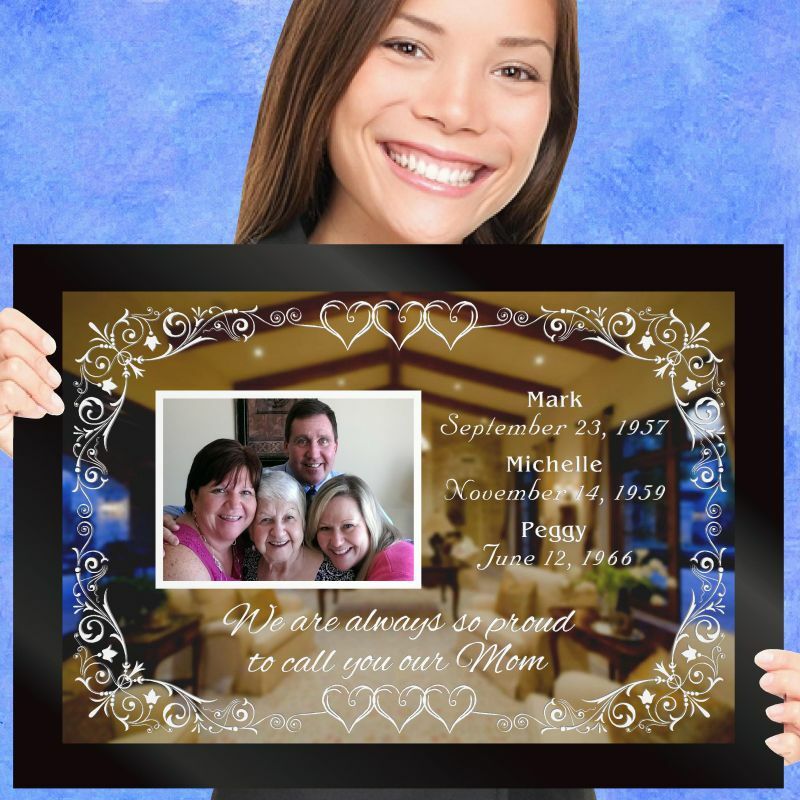 Inspired by one of our very first customers, this gift is a great way for you and your siblings to present your Mum with a gift that she will treasure forever! 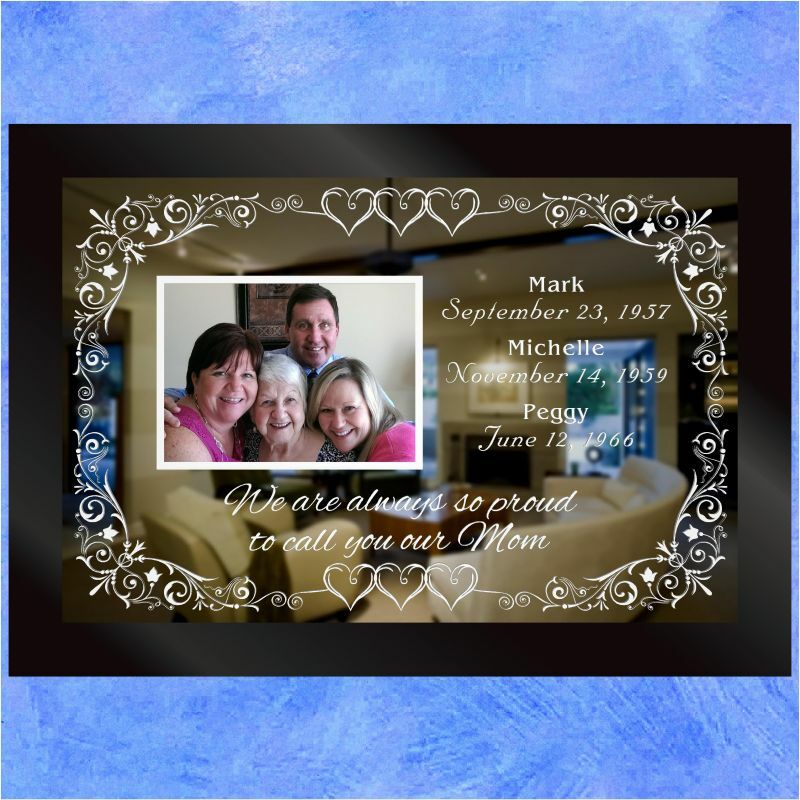 Whether near or far, each son and daughter will always be present in the family home and remind your Mother of a happy day when everyone was together, by complementing a photo of you all with all the children's names and birthdays. 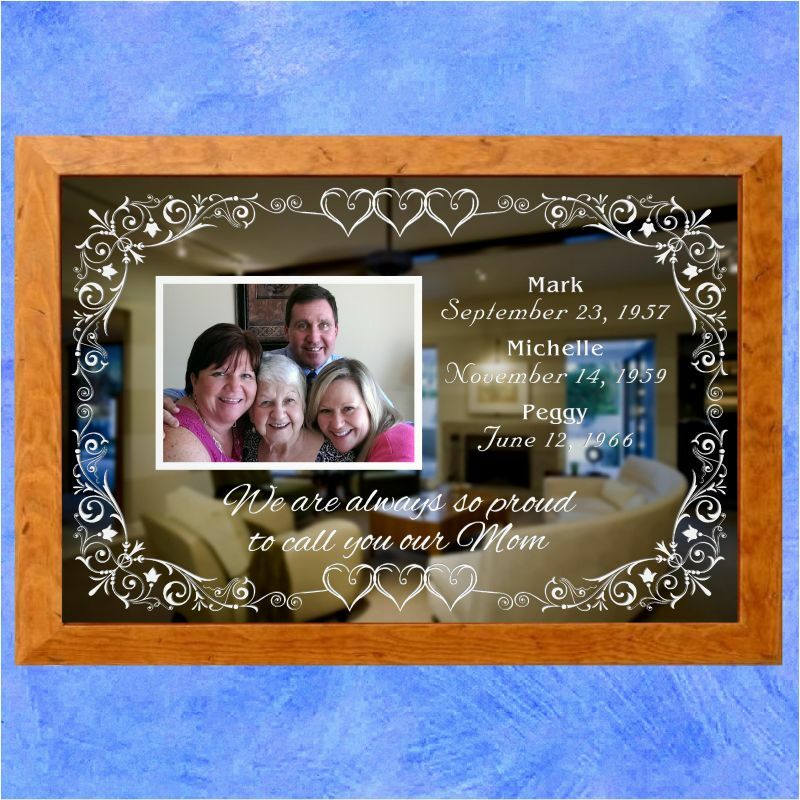 Celebrate your Mam's birthday, Mother's Day or just as a nice way to say 'Thank You Mum' with this personalised engraved mirror.